A summary of the law for wrongful death in Virginia caused by the negligence or wrongful act of another. A summary of the law of wrongful death actions in Virginia. When a family member dies as a result of the neglect or wrongful action of another, a lawsuit for damages may be brought by the personal representative of the decedent within two years after the death of the injured person.  (Va. § 8.01-50, 8.01-244). Wrongful death actions did not exist at common law, but were authorized by legislation. They are therefore controlled by statute. 5. Punitive damages may be recovered for willful or wanton conduct, or such recklessness as evinces a conscious disregard for the safety of others. How much can be awarded for wrongful death? The Virginia Supreme Court reinstated a jury verdict of $1,700,000 that had been reduced by a trial court, citing the statute, where the evidence showed emotional hardships and loss suffered by the spouse from the loss of his wife. He described preparing his own meals and eating them alone. He told the jury that during his 30 years of military service, his wife handled the family’s business matters and continued to do so after he retired. So, in his words, “when she passed, I was lost.” Finally, he described his frequent visits to his wife’s grave. The children testified their loss and discussed the relationship that they had enjoyed with their mother through the years and her influence upon their lives. The persons entitled to recover known as “statutory beneficiaries” are determined by statute, Va § 8.01-53. They are (i) the surviving spouse, children of the deceased and children of any deceased child of the deceased or (ii) if there be none such, then to the parents, brothers and sisters of the deceased, and to any other relative who is primarily dependent on the decedent for support or services and is also a member of the same household as the decedent or (iii) if the decedent has left both surviving spouse and parent or parents, but no child or grandchild, the award shall be distributed to the surviving spouse and such parent or parents or (iv) if there are survivors under clause (i) or clause (iii), the award shall be distributed to those beneficiaries and to any other relative who is primarily dependent on the decedent for support or services and is also a member of the same household as the decedent or (v) if no survivors exist under clause (i), (ii), (iii), or (iv), the award shall be distributed in the course of descents as provided for in § 64.2-200. Provided, however, no parent whose parental rights and responsibilities have been terminated by a court of competent jurisdiction or pursuant to a permanent entrustment agreement with a child welfare agency shall be eligible as a beneficiary under this section. For purposes of this section, a relative is any person related to the decedent by blood, marriage, or adoption and also includes a stepchild of the decedent. The statute also provides that the class and beneficiaries thereof eligible to receive such distribution shall be fixed (i) at the time the verdict is entered if the jury makes the specification, or (ii) at the time the judgment is rendered if the court specifies the distribution. Additionally, a beneficiary may renounce his interest in any claim brought pursuant to § 8.01-50 and, in such event, the damages shall be distributed to the beneficiaries in the same class as the renouncing beneficiary or, if there are none, to the beneficiaries in any subsequent class in the order of priority. What should you do if your family member was killed by the negligence or wrongful act of another? The materials are prepared for information purposes only. The materials are not legal advice. You should not act upon the information without seeking the advice of an attorney. Nothing herein creates an attorney-client relationship.